What good is power without control? The ability to stop quickly is just as important as accelerating quickly, especially on a race track. As any weekend racer will tell you, factory brake systems will quickly overheat and fail when put in even moderate track conditions. That means worn pads, warped rotors and expensive repair bills. Established in 1986, Endless products performance, design, and safety are recognized around the world. Through a close relationship with overseas with WRC, Paris Dakar, Super GT, Super Taikyu, Freshman Class, and a myriad of other renowned race categories, Endless knows first hand how demanding racing is a brake system. Endless strives to continually grow as both a manufacturer of high performance brakes and as an innovator of automotive technology. Endless��_ constant participation in racing allows them to have feedback from professionals putting their vehicles through the most extreme conditions. Endless also develops other brake components including calipers, discs, brake lines and brake fluid. It is Endless��_ goal to produce the highest quality products for the circuit and the street. 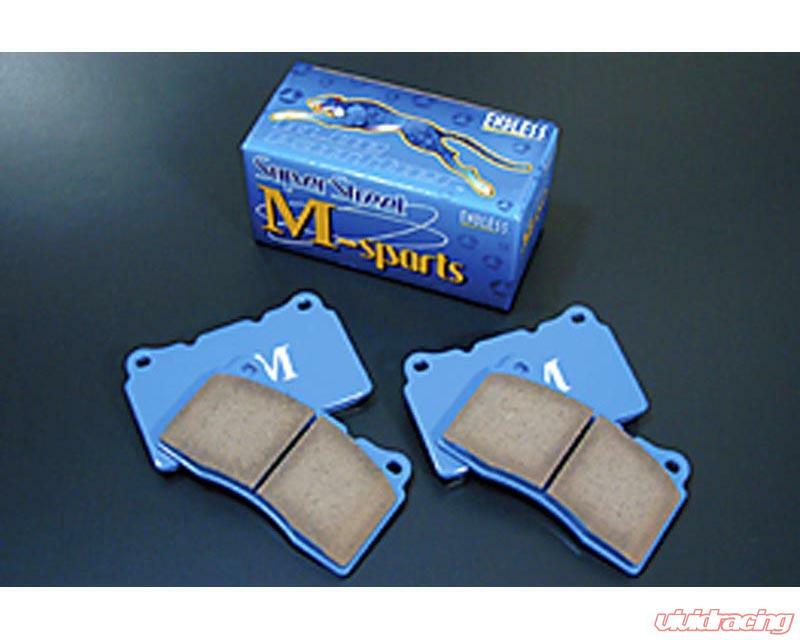 High performance brake pads generally have the tendency to generate a lot of unwanted dust. The SS-M is produced specifically for the every day street driver with balanced performance, increased life, low noise level, and increased pedal response without the typcal high levels of dust. From sports cars to high class sedans, the SS-M fulfills the needs of a wide range of users. Need a high performance street compound with low dust as the priority? Then the Endless SS-M is for you.